We investigated the timeline of functional recovery after hip fracture over 12 months in adults age ≥ 65 years using objective lower extremity function tests and subjective physical functioning. Objective functional recovery was largely complete in the first 6 months, whereas subjective recovery improved up to 9 months after hip fracture. Hip fractures are a major cause of loss of function among seniors. We assessed the timeline of objective and subjective functional recovery after hip fracture. 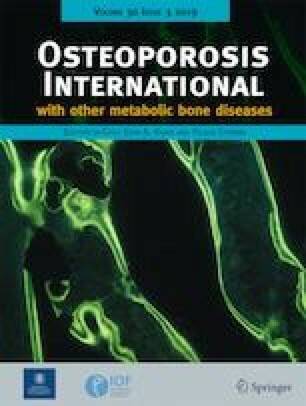 We conducted a prospective observational secondary analysis of a 1-year clinical trial on vitamin D and home exercise treatment and complications after hip fracture among 173 patients age ≥ 65 years (mean age 84 years; 79.2% women; 77.4% community-dwelling) conducted from January 2005 through December 2007. Lower extremity function (Timed Up and Go test (TUG), knee extensor and flexor strength) and grip strength was assessed at baseline and at 6 and 12 months follow-up. Subjective physical functioning was assessed using the SF-36 questionnaire also at 3 and 9 months follow-up. Multivariable-adjusted repeated-measures models were used to assess the timeline of functional recovery in the total population and in subgroups of patients. Lower extremity function including TUG (− 61.1%), knee extensor (+ 17.6%), and knee flexor (+ 11.6%) strength improved significantly in the first 6 months (P < 0.001). However, between 6 and 12 months, there was no further significant improvement for any of the functional tests. Grip strength decreased from baseline to 6 months (− 7.9%; P < 0.001) and from 6 to 12 months (− 10.8%; P < 0.001). Subjective physical functioning improved from 3 to 9 months (+ 15.2%, P < 0.001), but no longer thereafter. Functional recovery after hip fracture may be largely complete in the first 6 months for objective functional tests, whereas may extend up to 9 months for subjective recovery, with oldest-old, female, institutionalized, and cognitively impaired patients recovering most poorly. K. Fischer and M. Trombik are shared first authorship. The online version of this article ( https://doi.org/10.1007/s00198-019-04944-5) contains supplementary material, which is available to authorized users. This project was funded by the Baugarten Foundation Centre Grant for the Centre on Aging and Mobility (Dr. Bischoff-Ferrari). 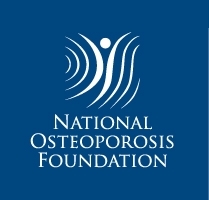 The original trial was supported by Swiss National Foundations (NFP-53) (Drs Bischoff-Ferrari and Theiler); Vontobel Foundation (Dr Bischoff-Ferrari; and Swiss National Foundations professorship grant PP00B-114864 (Dr Bischoff-Ferrari).